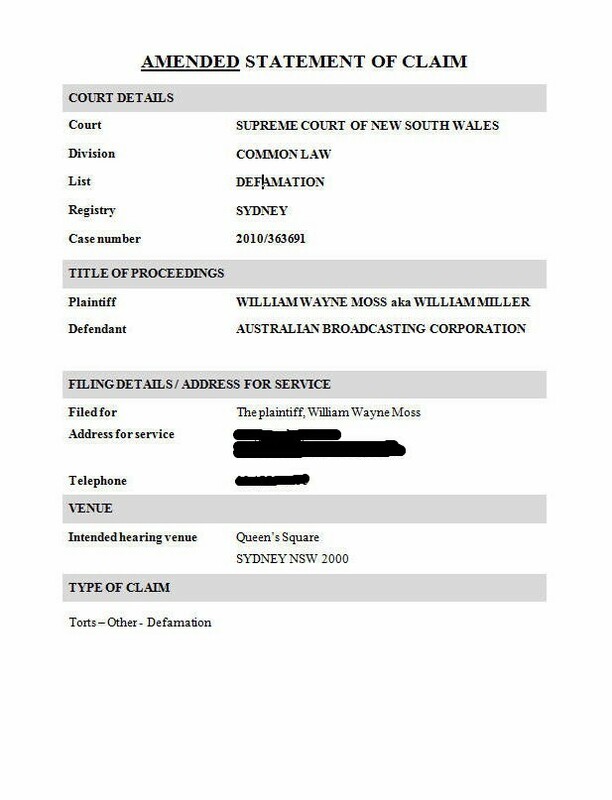 The ABC's track record with respect to the Schapelle Corby case is documented within a self contained section of the Expendable.TV website. The specific role of the Media Watch broadcast is also heavily covered, with its numerous interventions, which, invariably, have been hostile in nature to her interests. 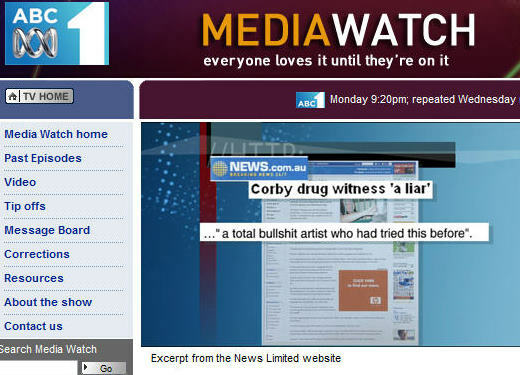 The Media Watch broadcast of 1st August 2005 was no exception, and is documented within the Candidate Sources Report. In July 2005 a Daily Telegraph front page 'exclusive' introduced William Moss. 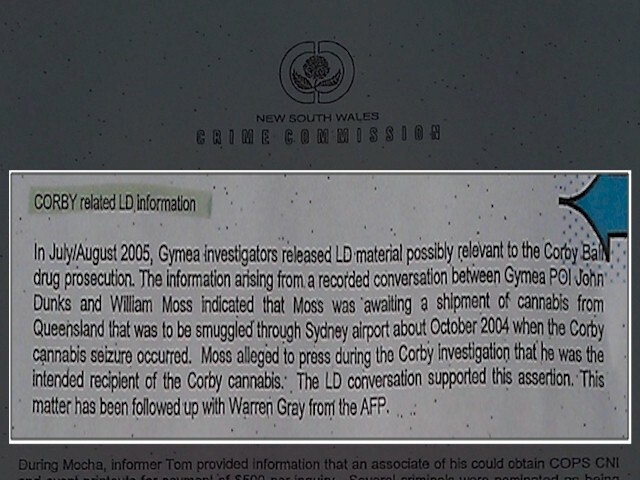 This article stated that Mr Moss claimed that he had been approached to collect the marijuana, which was found in Schapelle Corby's bag, at Sydney airport. In a bizarre article, the Telegraph introduced him as a 'star witness', but later in the same article, trashed his credibility completely, using a number of highly dubious methods. Whilst it has been suggested that a factor in this reversal was prior knowledge of the ABC's intended intervention, the intervention itself was direct: “This week's joke is that Daily Telegraph front page 'exclusive'. A story that no paper with any self-respect would give any credibility at all”. Mr Moss himself was subjected to a staggering onslaught. Mr Moss, whilst unaware of the supporting evidence which was eventually to emerge, was affronted. It is not difficult to understand how this would be perceived as aggressive and bullying in nature, and insulting in content, suggesting that Mr Moss had no reputation to defend and thus no prospect of significant financial remedy. The apparent veiled threats, regarding costs and the resultant financial implications, are also clear. Mr Moss pressed on undaunted. The case continued through various hearings to April 2012. On 5th April, The Expendable Project published the Candidate Sources Report. This documented a number of potential sources for the marijuana placed in Schapelle Corby's bag. A common denominator was Sydney airport. 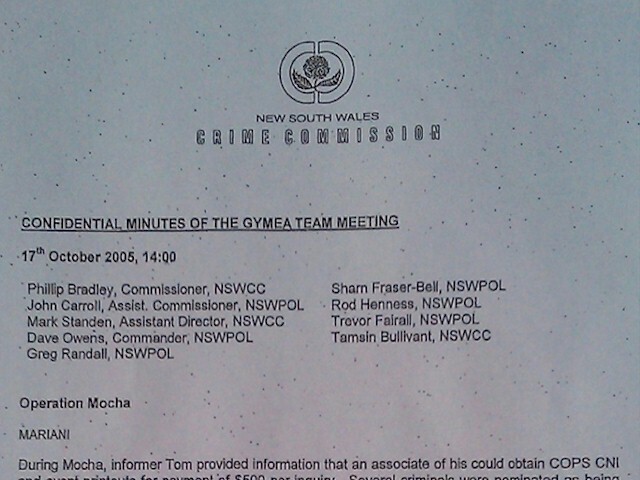 One of the new items of evidence, contained in the report, was an extract from the minutes of a meeting of the New South Wales Crime Commission, which was attended by corrupt Assistant Director Mark Standen. The minutes revealed that the Crime Commission held a recording of Mr Moss discussing the marijuana collection with another person, John Robert Dunks. Dunks was a member of the Christopher Laycock gang, who the Police Integrity Commission had earlier presented as one of the most notorious corrupt police officers in Australian history (ref: Cobalt Report). Note that Laycock wasn't jailed until the day after the Candidate Sources Report was published. Following the emergence of a so-called blackmail list, and a series of secret court hearings, he will serve as little as four and a half years. 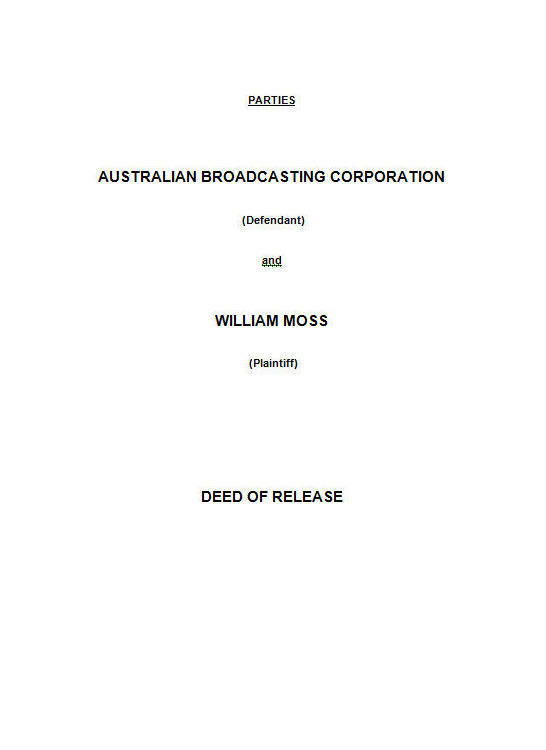 Accepting that the recording supported Mr Moss's assertions, and was directly relevant to the Schapelle Corby case, the NSWCC passed it to the AFP in 2005. The AFP remained silent, throughout both Schapelle Corby's ordeal, and Mr Moss's litigation. 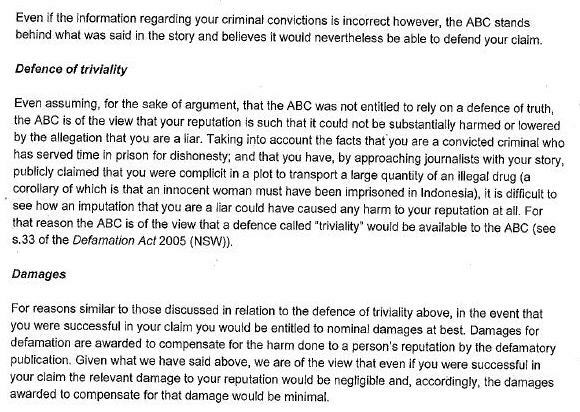 The impact of this revelation, and of the other information published in the Candidate Sources Report, appears to have had a dramatic impact upon the ABC defamation case. 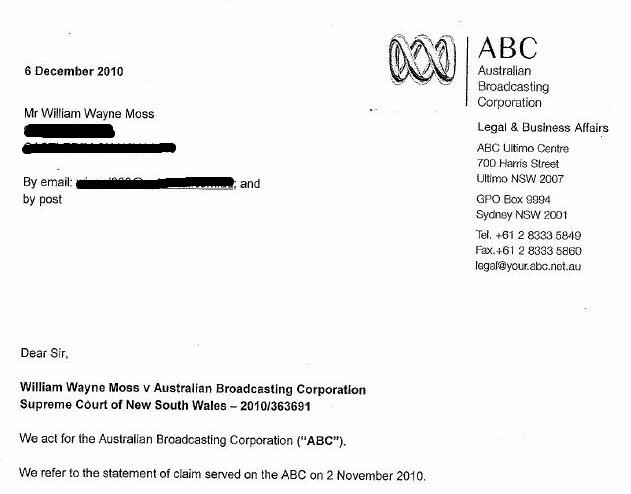 Within a few days, the ABC had presented Mr Moss with a 'deed'. 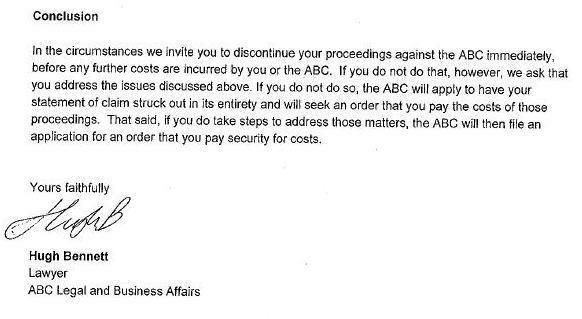 The Media Watch article was no longer on the ABC website, and he was offered a sum of money to halt his case (presented as paying his costs). Mr Moss accepted this offer, but retained the right to non-secrecy, thus enabling the information to be produced on this website. Subsequently, Mr Moss also provided an interview to an Expendable Project researcher, which is presented on the same page as the Candidate Sources Report.